Jerry graduated from Stony Brook’s Health Science Center in 1993 with departmental honors for a BS in Cardio-Respiratory Sciences. He then went on to graduate from Cornell Medical College’s Physician Assistant Program in 1995. He is nationally certified as a Physician Assistant (PA) with commendation in both Primary Care and Surgery. Upon graduation, he began to work for Dr. Joseph Burrascano in East Hampton, New York. After Dr. Burrascano retired 11 years later, Jerry began working at The Morrison Center as well as at East Hampton Urgent Care. While at Dr. Burrascano’s office, Jerry helped launch the ILADS Physician Training Program and was asked to work with the growing Empire State Lyme Association where he gives lectures and visits support groups. Soon after, he was recruited to be featured on a local monthly TV program about tick-borne infections and was asked by CALDA to author the “From the Expert” series for the Lyme Times. He has kept up with the field by attending regular CMEs including ILADS lectures as well as immune system seminars. He is a frequent local, state and national lecturer on medical CME topics. In addition, Jerry has worked at Cornell Medical College since his graduation. He has been a lecturer/instructor in the PA Program’s Medicine and Physical Diagnosis Classes, has coordinated and taught their intensive surgical courses and intensive clinical skills courses and has won their Top Instructor award three times. He also lectures at Long Island University, Touro University and the Montifore Medical Center Residency. If you have ever read the New York Times Science Section, Redbook Magazine, Experience Life Magazine, Shape or The Lyme Times, then there is a chance that you have read an interview of Jerry Simons. 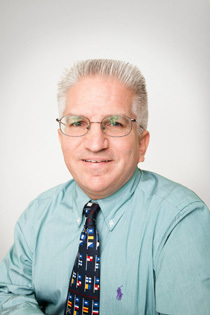 Jerry has received the March of Dimes Health Career Award, the Kirklin Award for Excellence in Surgical Skills as a PA (less than 20 have been awarded in more than 30 years) and was the 2008 NY State Society of PAs -Educator of the Year. In 2008 he was given the National PA leadership award from the Student PA association. Jerry currently lives in East Hampton with his wife of 12 years, Ginny, as well as their children, Ashley and Jerry. Jerry has strong family roots in East Hampton, and local historians trace the Simons family back hundreds of years to where he lives now. He is a member of the Nature Conservancy, an ordained Presbyterian Elder and an exempt volunteer Fireman.